Photo Effect Plus iOs App Review – Its trend these days, People use high quality pictures these days that they upload on their social networking sites. Another side people also upload some artistic kind of pictures that can be made from different photo editing tools. 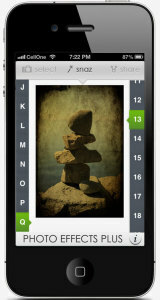 In this section you can add different backgrounds, effects and frames to photos. These pictures always look awesome and different from normal pictures. Its all about creativity that people use to add in photos. Here question arises that how everyone can create such pictures and effects if they don’t have any experience with photo editing tools? It’s quite easy to add effects in photos with the help of photo effect app. However, you can’t use PC always to editing pictures so it would be great to have an experience with mobile device such as iPhone, iPad, iPod touch and Android phone. 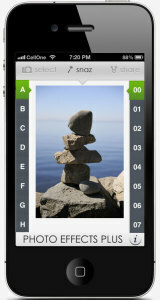 Thus, you will be able to carry photos always with you while you can add effects to those photos. Which app you mostly use to add effects in photos? 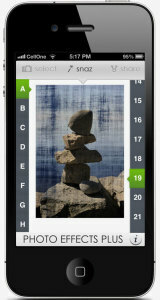 Its answer might be different for everyone as they use different apps to add effects in photos. Here I am describing features of photo effect plus app. 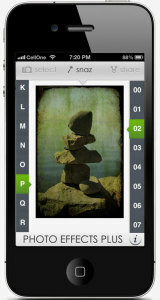 Photo effect plus is developed by Appsicum Team who developed several iPhone, iPad and Android apps. Photo effect plus helps you to bring the art and talent of Andy Warhol, Picasso, M.F. Husain to your iPhone/iPod/iPad photos. If you are fond of photography and don’t know that how to add effects in photos, then photo effect plus app helps you to get professional look. If you are amateur and don’t have much experience, then you must have photo effect plus app. 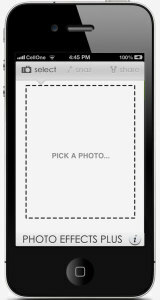 Apart from adding random effects in photos, this app let you share images on social media sites and image sharing sites. 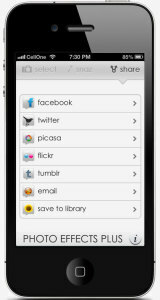 You can share image on Facebook, twitter, Picasa, flicker and Tumblr. You will also have option to email photos to your friends and save your images to library so that you can see them later.